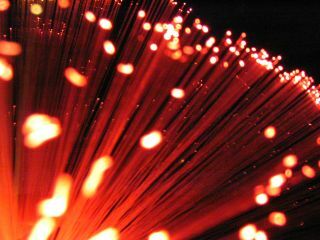 Communications watchdog Ofcom has announced that it will be looking to promote competing super-fast broadband services using BT's still fledgling fibre optic services. It is also seeking to provide access to the company's underground duct and telegraph pole infrastructure. The huge importance of a fibre optic network to the UK can't be understated and Ofcom 'believes that competition and investment in super-fast broadband can be delivered in both urban and rural areas'. "Today's statement is designed to provide a further spur to investment by confirming regulations around these services," said Ofcom. "Super-fast broadband will have a key role in addressing these requirements and thereby delivering significant benefits to UK consumers and businesses," the report adds. "Over the past two years, commercial investments in next generation access networks have resulted in super-fast broadband being made available to nearly half of all UK households. "However, competition in the provision of super-fast broadband services remains in its infancy. "To support the future development of the market, it is essential that there should be a clear regulatory framework designed both to promote competition and to support continued investment and innovation." Giving 'Virtual Unbundled Local Access (VULA)' to allow competitors to deliver services over BT's fibre optic network. Allowing Physical Infrastructure Access (PIA), which will "allow competitors to deploy their own NGA infrastructure between the customer and the local exchange, using BT's duct and pole infrastructure, to provide broadband and telephony". And finally, the continuation of Local Loop Unbundling (LLU), which Ofcom expects will "continue to provide a basis for competition in current generation services, allowing competitors to physically take over (or share) BT's copper lines between the customer and the local exchange". Currently, the biggest fibre optic network by some way is that of Virgin Media. The company has invested heavily in its infrastructure and is now reaping the benefits. BT is putting money into fibre optics, but its network is small in comparison and will take years of heavy investment to bring it up to a size that can be considered adequate for Britain. On top of this, the cost of running the next-gen network out to smaller communities is currently prohibitive. Ofcom is hoping that its move can speed the process up as third parties look to get involved, but just how quickly that will happen remains to be seen.